We pride ourselves first and foremost on our clamshell aluminum awnings for which our customers can choose from a wide variety of styles and colors. Styles and colors can vary to match the home or mobile home and add a nice touch as well as protect the windows and doors in storms and high winds. A screen room is a great idea for a home addition. Consider adding a matching screen room to your home to add value and for practical functionality. Some ideas for the inside of your screen room addition include patio chairs and a table for an area to entertain guests. A screen room could be utilized as a storage area to free up space in your home or mobile home and provide additional areas to tidy up the living quarters and increase the amount of available storage space. If you have kids, use the additional room for a play area for them. Being attached to the house it is a safe place to play and you can keep an eye from them from the comfort of your living room. Window screens prevent toys from flying out into the yard. Storage sheds are great for organization. Clear out the garage of your tools and equipment to keep your living spaces clean and tidy. Now you can park your car there again! Aluminum railings are another project consideration for your home or mobile home. Aluminum railings can add beauty to a home or building, and are important for safety where steps and sidewalks drop off sharply. 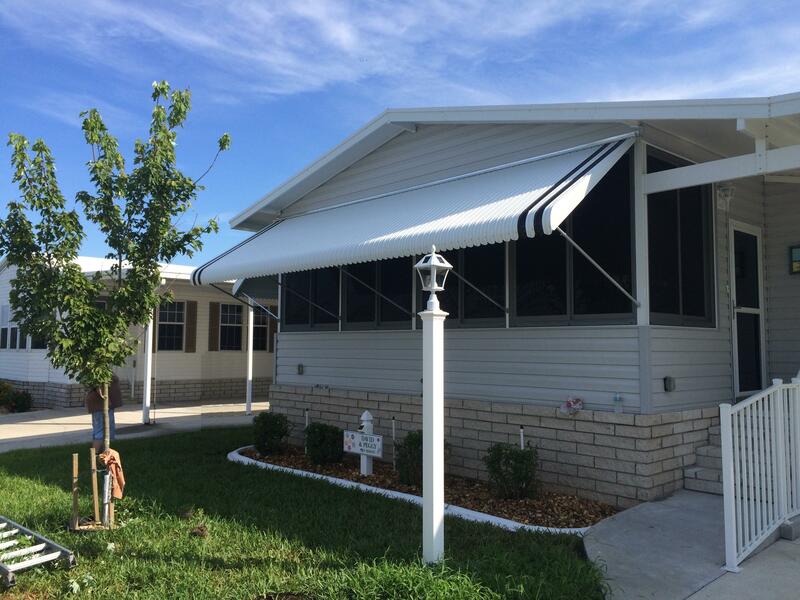 A matching carport is a good idea for your home or mobile home. A carport is useful to park beneath and a great solution for homeowners who want to protect their vehicles from the hot sun. The intense summer heat can fade your car’s color, crack your dashboard and seats, cause plastic and rubber trim break and crumble, and even make your tint peel off. Protect and preserve your car for years to come by having a carport installed.